Sidharth Malhotra (in Anuj Madaan) & Shah Rukh Khan both suited up in black for Deepika & Ranveer’s reception. Nothing to fault here, they both looked quite dapper! 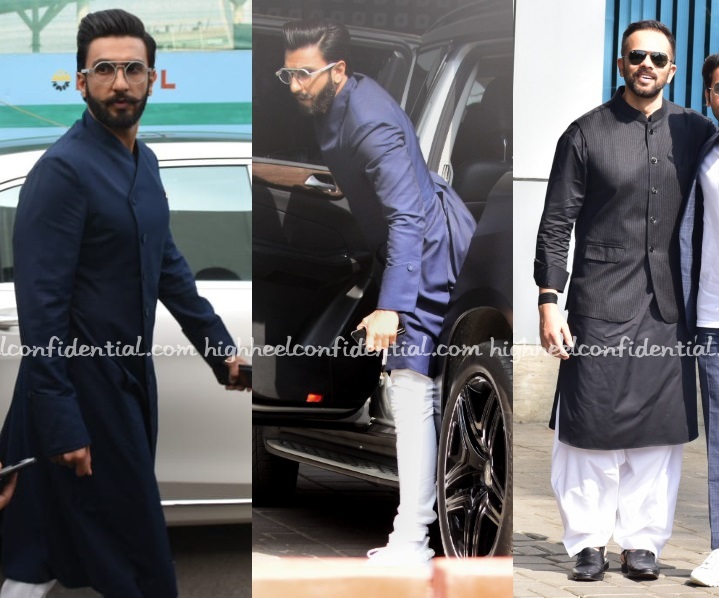 Ranveer Singh gave us two classy looks at Sonam Kapoor’s wedding festivities. 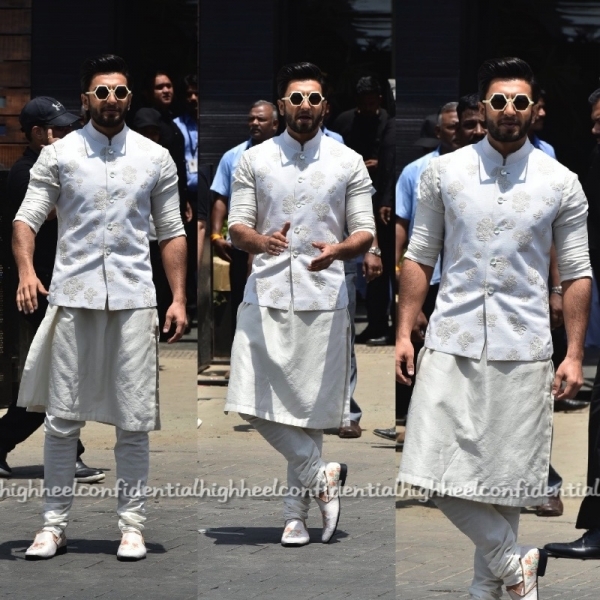 For the wedding he opted for a white, Rohit Bal outfit and for the reception an Anuj Madaan suit. 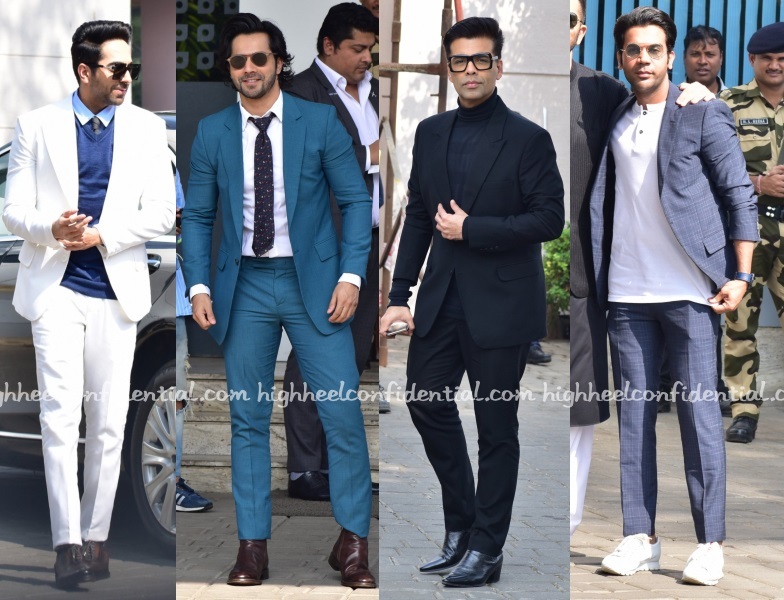 Which look won your vote? Both is an acceptable answer! Ranveer Singh attended the Zee Cine Awards, pairing his Anuj Madaan suit with a Prada shirt. I felt like this look was too similar to the previous one. Skipping the vest might have had us loving the look. As it stands, it was a bit excessive.